Writing and directing by Ruthie Osterman. 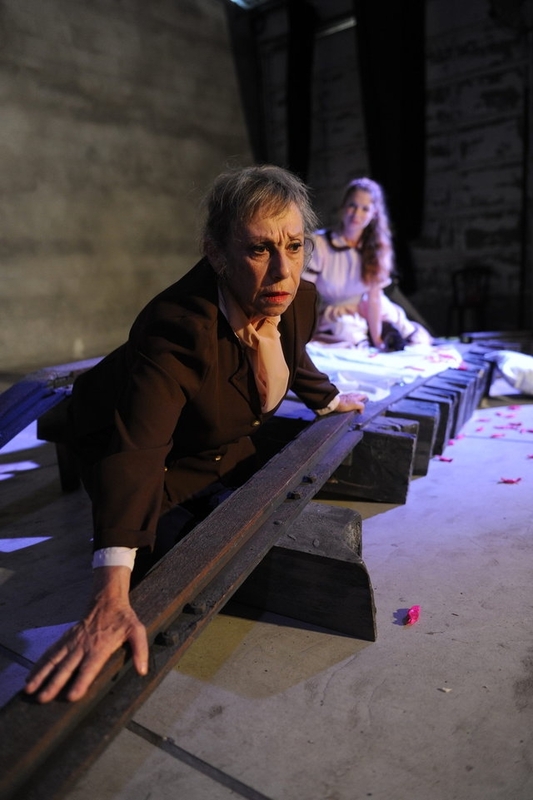 The play tells the story of an encounter between a girl and an old woman on the railway tracks on the outskirts of town. The woman has come to end her life on the tracks and thus gain longed-for peace, and the girl is there looking for the toffees that mark her way home. For the woman, the railway tracks are a remnant of a childhood memory of abandonment, when her parents threw her from a train window during the war. For the girl, the tracks are where every night she meets a gang of children who abuse her. The surprising encounter leads to a mutual reflection of the characters until it sometimes seems that they are one and the same. 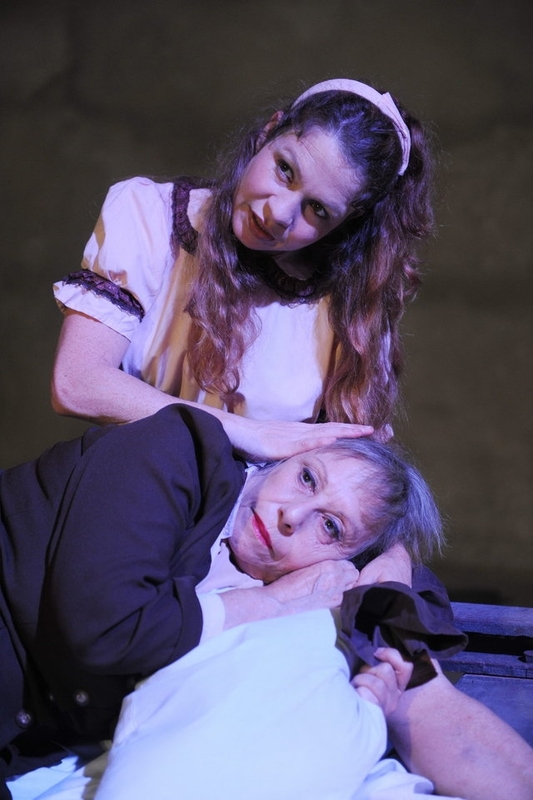 Out of the characters’ need for warmth and love, and their scratching each other’s wound, a brutal world replete with violence and fears, together with a desire for warmth, closeness, and a wish for reformation is revealed to the audience. At the end of the night the two go their separate ways, with each of them making a choice between life and death, and all that remains for them is the force of the human encounter with all that it brings to the surface and enables. 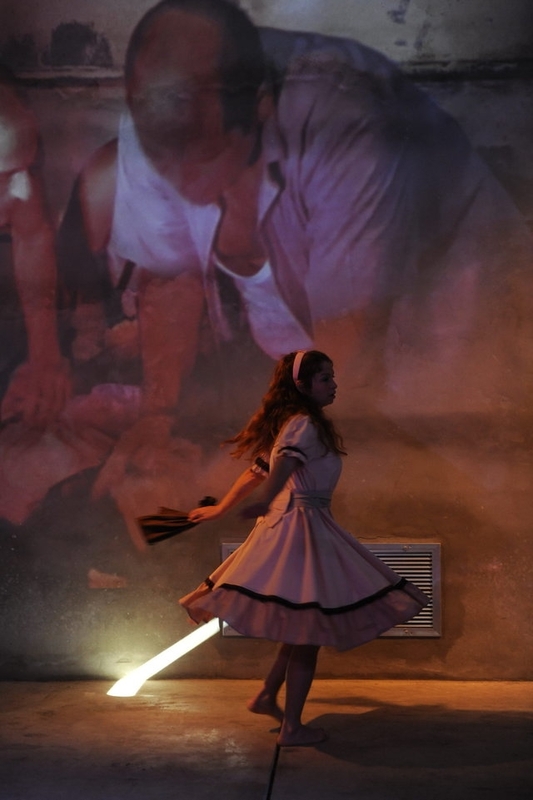 The play was inspired by documentary material dealing with violence and abuse in Israel. Girl: Is that why you came here? Woman: No. I remember on my own. Girl: So why did you come? Woman: Yes, to the train. Girl: Do you think your parents are still on it? Girl: Everybody dies in the end. Woman: There are some who die at the beginning. Woman: Yes. Or in the middle. Girl: In the middle of the journey. Woman: In the middle of the journey. Girl: They threw you off the train. Woman: Yes. My parents. So I’d live. Girl: You could have died from the fall. Woman: True. But I didn’t. Girl: You’ll die in the end. Woman: Or at the beginning. Girl: You’re far too old for the beginning. Woman: True. (Softly) I forget. All videos were edited by Yoav Gershon.